Director James Gray hasn’t officially announced his next project yet, but many were speculating that it would be The Gray Man, which he has been working on for some time now. The film had some interest too, partially because of its lead, Brad Pitt. But now it looks like if Gray is indeed going to make this his next film, he’s going to have to do it with a different star, as Pitt is no longer attached to the project. We don’t know why Pitt is no longer attached, we just know that he’s not with the film anymore and Gray is looking for a new star. The pair was previously supposed to work together on The Lost City Of Z, a partnership which also failed to come to fruition. The Gray Man is based on the book by Mark Greaney which was adapted by Adam Cozad (Jack Ryan). The film follows a former CIA operative who’s now an ultimate assassin fighting his way across Europe in order to save the life of his handler and his handler’s family. He’s targeted by a powerful multinational corporation and being pursued by special forces teams from around the world. So now, of course, we have to ask who will fill Pitt’s shoes? The role is certainly an interesting one, and any number of actors could be quality picks for the role. Gray has frequently collaborated with Joaquin Phoenix, but I think that another actor he’s known for working with, Mark Wahlberg, would be a better fit for. Wahlberg has shown his action chops many times, but a chance for him to play a Bourne-esque hero is something I definitely can get behind. Pitt’s departure has the potential to put a real kink in the progress of this film, so perhaps Gray will work on something else before he takes another stab at The Gray Man. As soon as we hear any news about that we’ll bring it to you, so be sure to check back. Who would you like to see step into The Gray Man? 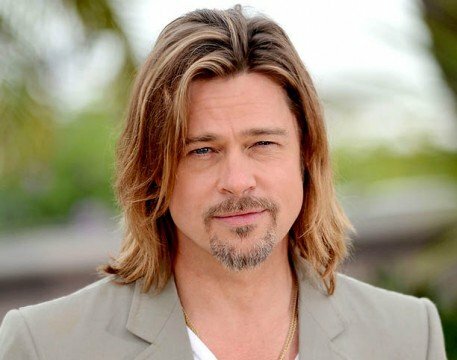 Are you distraught over Brad Pitt’s departure? Share your thoughts with us in the comments section below.